You are at:Home»News»#BowtechLIVE Q&A w/ Tim Gillingham + $20k Giveaway! Tomorrow is the world premiere launch of The TIM GILLINGHAM PROJECT, a video telling Tim’s story through the eyes and words of friends and competitors alike. Watch as archers such as world champions Levi Morgan and David Houser, archery legend Bob Jacobsen, plus Hamskea’s Andrew Munsell &Sean Greathouse all come together, along with Tim himself, to paint Gillingham’s contribution to the sport of archery. Visit this Facebook post & click Notify Me for an alert via Facebook. Visit our website now & click Get Notified on the Tim Gillingham event. Want a text alert and link to watch on your phone when we are live? Text “TIMG” to 313131 in US, text “TIMG “to 393939 in Canada. Data Rates Apply. Have You Watched #BowtechLIVE Yet? #BowtechLIVE is our commitment to put you in direct contact with the smartest archers on the planet. We produce over 6 hours of LIVE content each week! Put down that remote and lean forward with our #WhitetailDeer, #Elk, #Muley and other #BigGame experts who will answer your questions, LIVE. Visit our website now for a full list of our weekly shows, plus use the GET NOTIFIED button on any player to set a calendar alert. You can also watch these on our Facebook page by turning on notifications from our page. 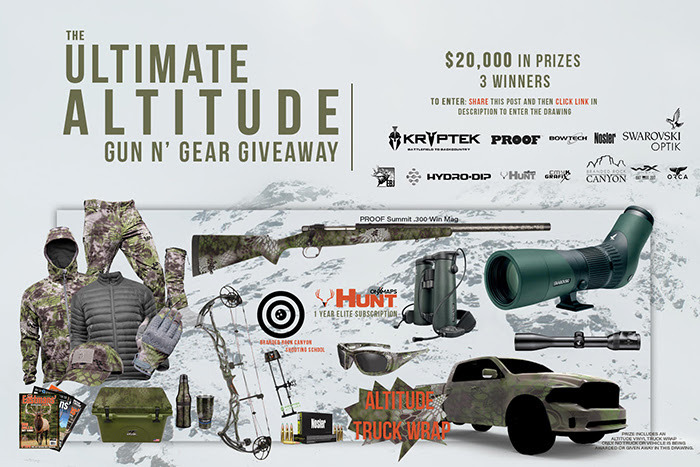 We’ve teamed up with some other awesome hunting companies to offer you the ultimate giveaway. Sign up now for your chance at $20,000 in gear, including a new Reign 6, named Field & Stream’s Best Of The Test and Outdoor Life Magazine’s Editors Choice for 2017!